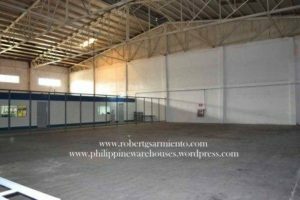 Details = high ceiling, office, loading dock, ok for Peza and Non-Peza locators. For further details on the property listed above, please call our office at 4781316* * 09272221528 * 09776742094. This entry was posted on Tuesday, June 19th, 2018 at 2:33 am and is filed under Uncategorized. You can follow any responses to this entry through the RSS 2.0 feed. You can leave a response, or trackback from your own site.